The “Have a Seat Campaign” is a campaign launched by the Players Directory that benefits the SAG Foundation Actors Center. After getting listed in the Players Directory, Susan was one of many SAG members who entered a drawing for a $500 donation to be made in his/her name to the new Actors Center. In addition to the donation, the winner would also have a chair dedicated in their honor. Upon receiving the exciting news that she won, Susan’s name and a favorite inspirational quote was engraved and placed on one of the seats in the Actors Center at Sag/Aftra where it will remain a permanent fixture in the Center’s screening room. 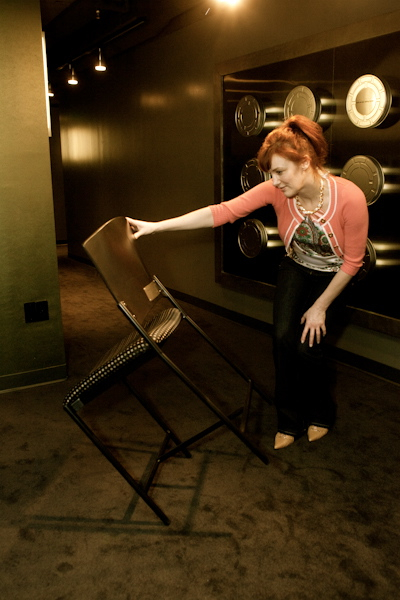 Pictured here is Susan having a look at her newly acquired chair! This entry was posted in News and tagged Actor Center, SAG, SAG Foundation, susan Hanfield. Bookmark the permalink.